← Daniels and Edmond Together — A Priceless American/Australian Treasure! I realized a couple of days ago that three and a half months have elapsed since I published my last Blog post, so it’s definitely time to publish more Blog posts again. The last Blog post I published on April 9, 2012, about Robert Daniels and Kylie Edmond, “Daniels and Edmond Together – A Priceless American/Australian Treasure!” which you can see when you click here, took so much out of me that I needed over three months to recover. Just kidding! 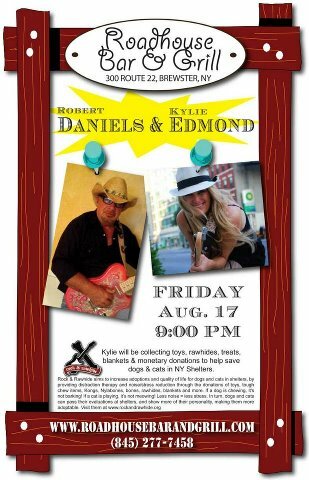 Speaking of Robert Daniels and Kylie Edmond, though, I was pleased to learn that they are going to be performing together again at the Roadhouse Bar & Grill in Brewster, New York, on Friday, August 17, 2012 at 9 p.m. If you can attend this event, I know you will enjoy seeing them in action. Since my last Blog post, I’ve been continuing to interview phenomenal singer/songwriters on and formulate exciting plans for the future of Alive with Clive. If you’re a member of The Alive with Clive Global Community, you can see a different singer/songwriter free every week after you have registered for free as a Bronze Member at http://alivewithclive.tv/blog, and I will be announcing my new plans and sharing other news in upcoming Blog posts soon. At this stage, though, I do want to acknowledge that I have not yet finished the series I began at the end of last year on The Top 10 Alive with Clive Highlights of 2011. So, first, I’m going to publish the posts about the remaining four highlights of 2011, which to some degree form the foundation for my future plans, and then I’m going to announce my future plans. So be on the lookout for the upcoming Blog posts I’ll be publishing soon. This entry was posted in Alive with Clive and tagged Alive with Clive, Alive with Clive Global Community, American, Australian, Brewster, Bronze Member, future plans, interview, Kylie Edmond, Roadhouse Bar & Grill, Robert Daniels, singer/songwriters, Top 10 Alive with Clive Highlights of 2011. Bookmark the permalink.